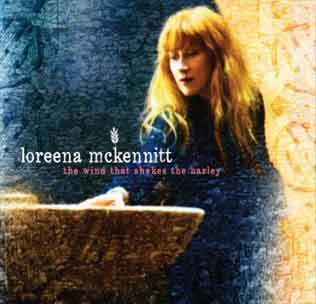 This album, featuring nine songs, is a stirring and inspirational return to Loreena's roots: she has created a new album of traditional Celtic songs, recorded in the summer of 2010 in a historic 1832 temple north of Toronto. The album is released in November 2010. The CD cover, lyrics and cited texts are from Quinlan Road WWW-site. 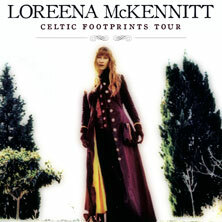 The 'Celtic Footprints' Tour 2012 End October 2011 it was announced "that Loreena will once again be taking her music on the road when she embarks on the Loreena McKennitt Celtic Footprints Tour 2012"; see this page for more info and tour dates. No doubt the concert will feature songs from The wind that shakes the barley. In a stirring and inspirational return to her roots, Loreena McKennitt has created a new album of traditional Celtic songs, recorded this summer in the historic 1832 Sharon Temple north of Toronto, Ontario, Canada. "Every once and again there is a pull to return to one's own roots or beginnings, with the perspective of time and experience, to feel the familiar things you once loved and love still," says Loreena. Consisting of nine songs, it was recorded with some of Loreenas long-time musical companions along with a cast of other accomplished musicians. There's guitarist Brian Hughes, cellist Caroline Lavelle, violinist Hugh Marsh and hurdy-gurdy player Ben Grossman, along with a cast of other accomplished musicians. The spectacular Sharon Temple is one of Canada's National Historic Sites and it proved inspirational for the artists. "There is a fascinating interplay between architecture and sound, visually and sonically," says Loreena. "The temple inspired us all." The natural setting, with its abundant trees, wildlife and birds, was also moving. "For me, there seems to be a crucial link between close access to the natural world and creative inspiration," explains Loreena. © 2010, the official website & mailing list Quinlan Road Ltd. This is again a wonderful album! I have not listened to the songs in detail yet, but the first impression of the songs is very favourable.